If you’re not using your Roku device to stream music, you’re missing out. We’ve got every genre, every medium and the most popular platforms to meet all of your listening preferences. Here are the nine channels you need to take your in home music experience to the next level (if you have a Roku TV, a pair of Roku TV Wireless Speakers are a must-have). Spotify: Everyone can listen to the music they love for free. Browse all your favorite albums, songs and playlists, and watch beautiful album artwork appear on-screen. Premium users can listen in higher quality audio and without ads ($9.99/month after 30-day free trial). Pandora: Find the music you love and let the music you love find you. Pandora gives you a personalized music experience that continually evolves with your tastes. Create stations from songs, artists or genres for free. Pandora Premium lets you listen ad-free, skip and replay songs, as well as download the music you want offline ($9.99/month after a special 90-day free trial of Pandora Premium when you purchase Roku TV Wireless Speakers). iHeartRadio: Access the world of music and radio in one simple app. Catch music countdowns, live talk shows from top radio stations, and live sports in your local area. Want to listen to all the songs you like no matter what genre or artist it is? With My Favorites Radio you now have a station with all of the music you like (free). Amazon Music: Find and play the music you love. Enjoy a curated catalog of two million songs, playlists, and stations with Prime Music, always ad-free and included with your Prime membership. Unlock tens of millions of songs with Amazon Music Unlimited (Amazon Prime membership required). VEVO: Watch official high-definition music videos by your favorite artists on VEVO. Sync your VEVO account to watch your playlists on your TV, or watch your favorites again (free). TuneIn: Get play-by-play sports, music, live news, podcasts, and local radio. Listen to the audio you love and let the moments move you for free. TuneIn Premium offers commercial free news coverage, music for any mood, and the biggest sports moments ($9.99/month after 30-day free trial). SiriusXM: Stream commercial-free music of every beat, handpicked by the best music experts around. Not to mention exclusive live performances and artist-dedicated channels you can only hear on SiriusXM (starting at $10.99/month after 30-day free trial). Radio.com: Listen to your favorite sports, music, news talk radio stations & podcasts for free – anytime, anywhere. Stream over 230 stations and 1,000 podcasts (free). Looking for more Roku channel suggestions? Check out these Roku channel hidden gems. 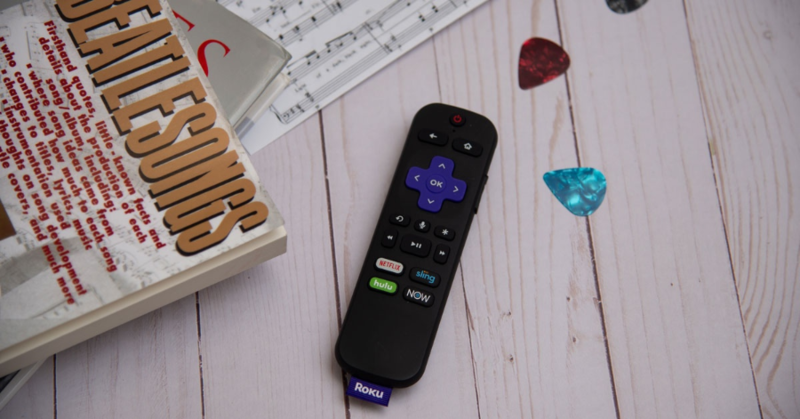 The post 9 music channels you should be using on your Roku device appeared first on The Official Roku Blog.